Our Immigration Paternity Test can be used as evidence for the Home Office, UK Visas and Immigration Service and Her Majesty’s Passport Office to support visa applications and appeals. Our Immigration Paternity Test is a quick way of proving a biological relationship between father and child, in order to prove paternity where evidence is needed to support a passport or visa application. The results of our Immigration DNA Tests are accepted as evidence by the Home Office, UK Visas and Immigration Service and Her Majesty’s Passport Office to support immigration paternity claims, for instance, in the case of other lost or unavailable evidence, such as marriage and birth certificates. Costing £389, our Immigration Paternity Tests are simple to do and produce quick results, meaning you won’t be waiting for weeks. Typically, we can get the results to you in just 3 to 5 working days after we receive your samples. For added convenience, your results will be sent to you via email, meaning you get a speedy result in what can often be a stressful time. We can also provide copies of your results to your solicitor and the relevant government department if required. You can be assured of our accuracy, as unlike some DNA testing laboratories, our Immigration Paternity Test uses a 21-genetic marker profile, which delivers the highest levels of reliability. Our Paternity Tests will give you accurate results just when you need them most. To carry out an Immigration Paternity Test, we first need to establish who needs to be involved in the testing process and where they are located. After we have been informed of this, we will send sample collection kits to your chosen sampler who must be an independent third party and is usually a health professional such as a doctor or nurse. We can arrange sample collection across the UK and worldwide, please Contact Us to discuss your requirements. The sampler will then be responsible for collecting the DNA samples, as well as filling in the necessary paperwork, verifying ID and endorsing 2 passport-sized photographs for each participant to confirm it is a true likeness of the person providing the sample. Please note, the sample collector will charge an additional fee for this service, which is not included in our fees. DNA sample collection is quick and painless – the doctor will simply take swabs from inside the mouths of the people being tested. There is no need for any invasive testing, and it will only take a couple of minutes. This process is necessary to maintain what is known as a “chain of custody” – to guarantee that the samples have been taken from the correct participants and that they cannot be tampered with. The testing laboratory is accredited by the Ministry of Justice which ensures chain of custody test results are accepted as evidence and they test 21 markers which provides the highest levels of accuracy. 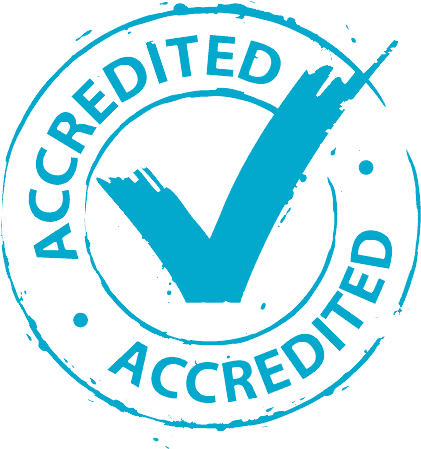 Please visit our DNA Testing Laboratory Accreditation page for more information. Paternity tests are designed to produce one of two conclusive outcomes – they will either say that the male tested is the biological father, or that he cannot be the biological father. The test has an accuracy of more than 99.99% for a positive result and 100% for a negative result, so you can rest assured that paternity will be proved. The fact that our results are so accurate means you will have no issues with using them as evidence for immigration purposes. What if the Mother is Not Available for Testing? We always recommend that the mother takes part in a paternity test whenever possible to provide the most conclusive result with the highest level of accuracy. However, we are also aware that the mother is not always available or willing to take part in the test. One of the advantages of paternity tests is that there is no need for the mother to be present. This means it can be used in cases where the child’s mother has died, is missing, or is still living in another country. Tests carried out without the mother are still more than 99.99% accurate and will provide a conclusive result. Immigration DNA Testing can also be used to prove relationships between other relatives such as grandparents, siblings, nieces and nephews, as well as aunts and uncles. Please Contact Us in complete confidence for more information or to discuss your specific case.